I mentioned in an earlier post that I wanted to visit Klehm Arboretum over the summer. I actually ended up making a few trips, and I would highly recommend anyone else to do the same! My first trip there was a tour of the grounds and taking some photos. I was lucky enough to have one of the employees show me around via golf cart...which was greatly appreciated since that particular day was hot! The first stop was at the Fountain Garden. This spot is absolutely perfect for events, concerts, and weddings with the covered pavilion next to the expanse of lush green space, along with the beautiful surrounding flowers and plants. The green space was completely full when I attended the last Woodsong concert of the season later in the summer. Another must-see spot at Klehm are the Children&apos;s Garden. 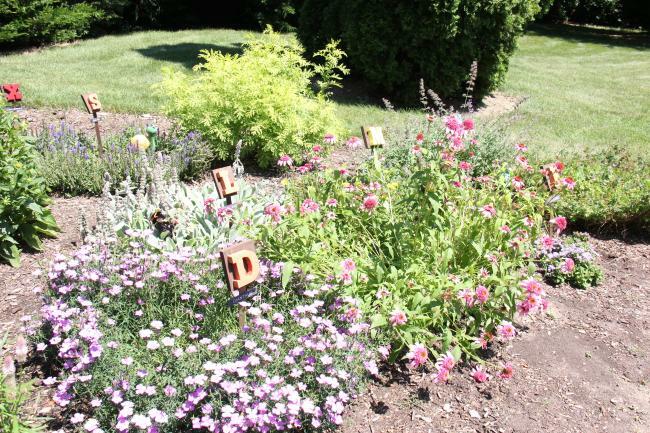 Within this area is the alphabet garden which features 26 unique plants - one starting with each letter of the alphabet. I don&apos;t think I recognized even half of them! 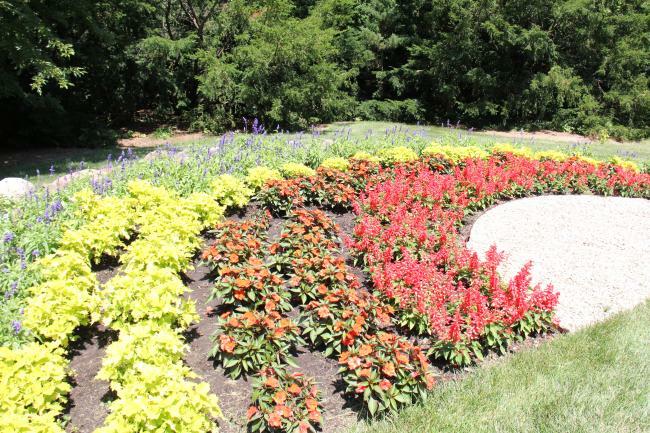 Then just a little ways down the path is the rainbow garden which is beautiful arrangement of a variety of flowers in every color, planted to resemble a (what else!) rainbow. 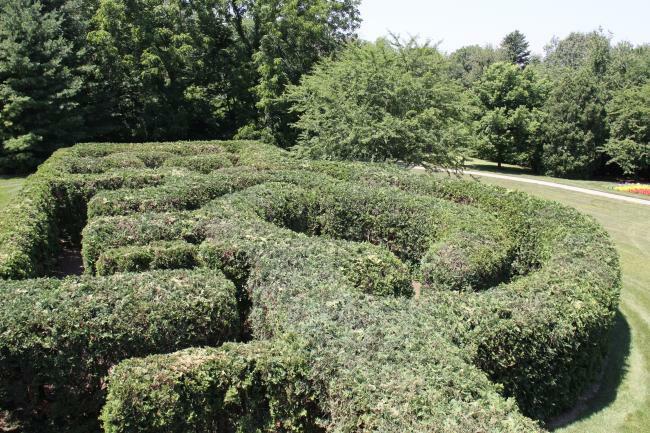 But I would have to say my favorite part of Klehm was the hedge maze and the hidden attraction within it. Once you get about halfway through the maze, you come to a small clearing with a few stones arranged on the ground. To my surprise, it was a sundial. And what&apos;s even better is that YOU are the sundial! All you have to do is find and stand on the stone with the current month carved on it, and raise your arm. A series of numbered stones are spread out in front of you, so wherever your arm&apos;s shadow falls within these numbers, that is the time! It&apos;s such a basic concept, but I was just so entertained by it! Even with my several trips to Klehm this summer, I still haven&apos;t seen everything they have to offer. (There is a series of trails that go deeper into the grounds!) Looks like I now have something to do in the fall! 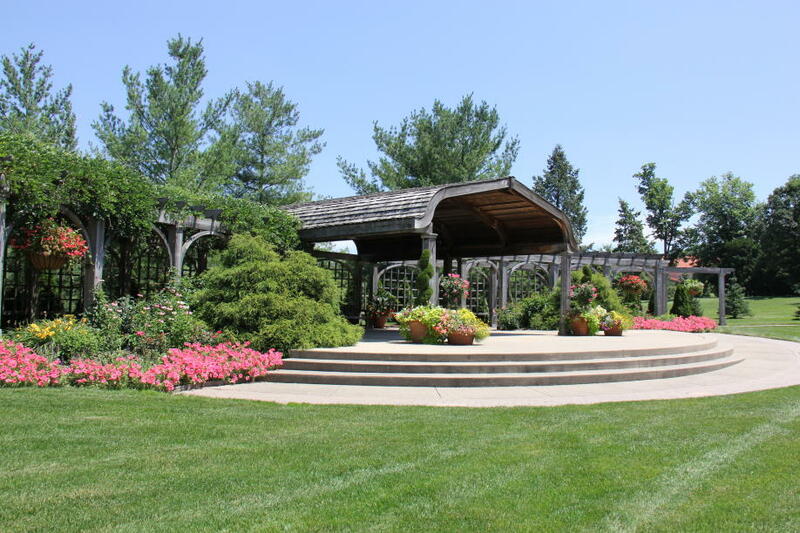 Klehm Arboretum & Botanic Garden is located at 2715 S. Main St. in Rockford. For hours and event information, visit their website at www.klehm.org.